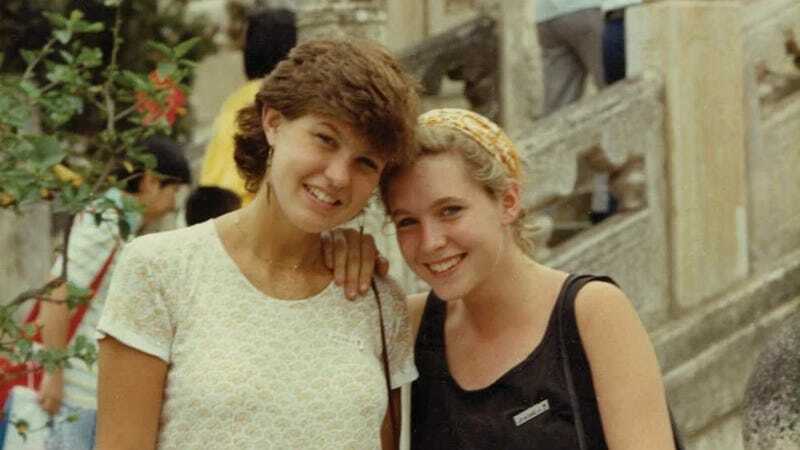 As legend has it, a beautiful and noble friendship once blossomed in the halls of Dartmouth College: Sen. Kirsten Gillibrand and Connie Britton were roommates in the '80s. So, in honor of the national holiday of Throwback Thursday, here is a very important photograph proving that this blessed occurrence truly transpired. There is a lot about this photo that's truly special and moving, but probably most noteworthy of all is Connie Britton's hair in its mortal form (this picture was taken before it absorbed all the goodness in the world and became a living deity). According to the Washington Post, Britton said that Gillibrand was "fearless" even back then, and Gillibrand has praised Britton for being determined to take on roles that could serve as positive role models: "Every script she'd get, she'd push back on it, push back on it and make this character into this amazing mom who really made a difference in her community." I want to be in on this friendship.